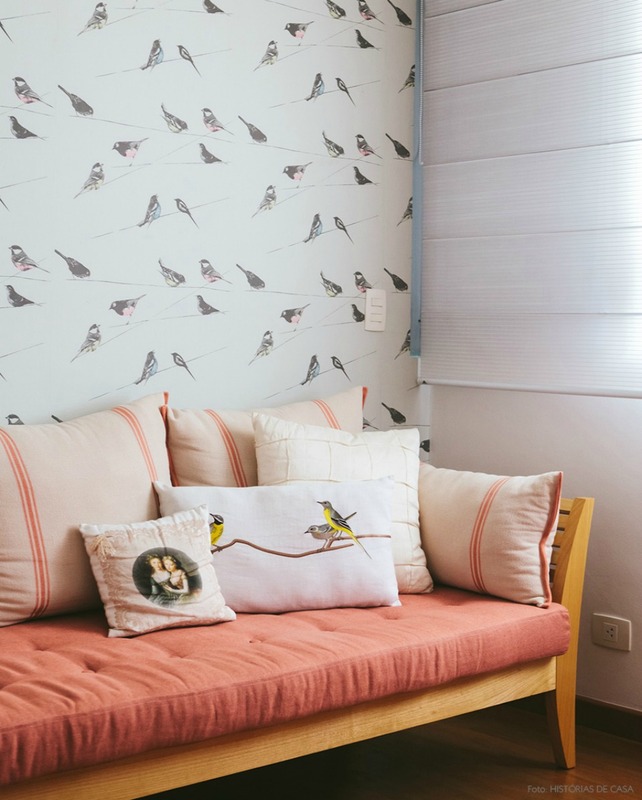 Mixing patterns is something a lot of pro interior designers do with ease, but it can be challenging to make it work in your own home. 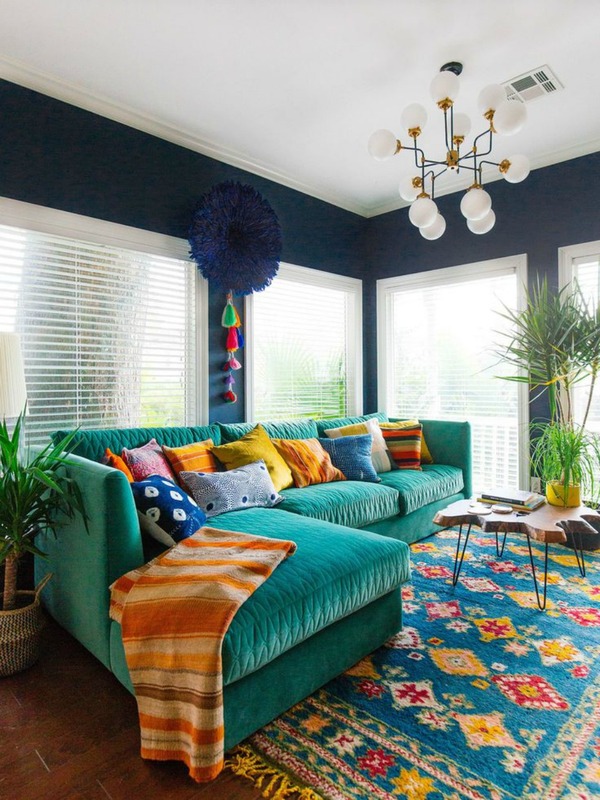 How do you combine patterns in a room without making it feel like a kaleidoscope threw up? 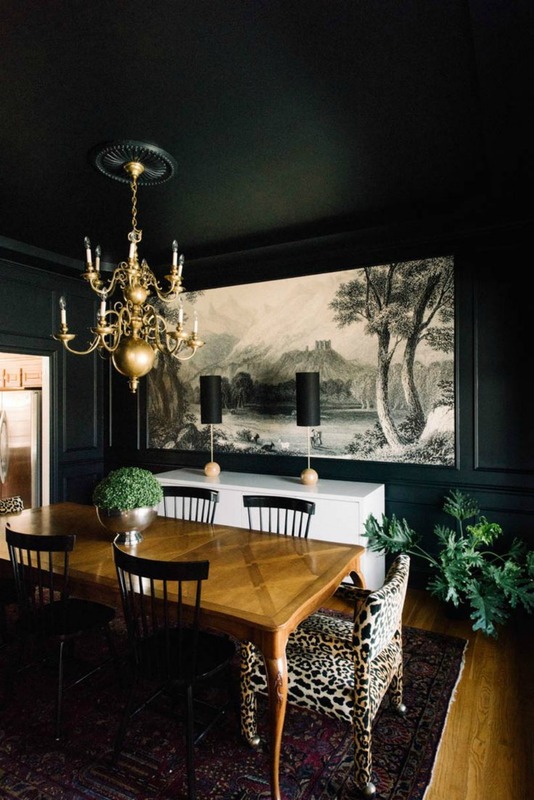 Interior designer James Tabb of Laurel & Wolf has some advice. Get more of his advice in the next few slides, followed by a lot of pretty, pattern-mixing inspiration for your next room reboot. 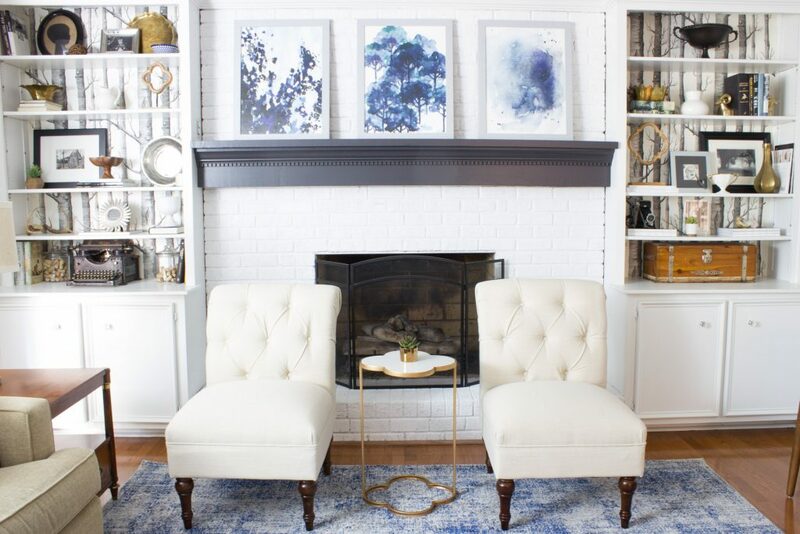 If you’re hesitant about mixing patterns, try adding pops of one color to a more neutral palette. 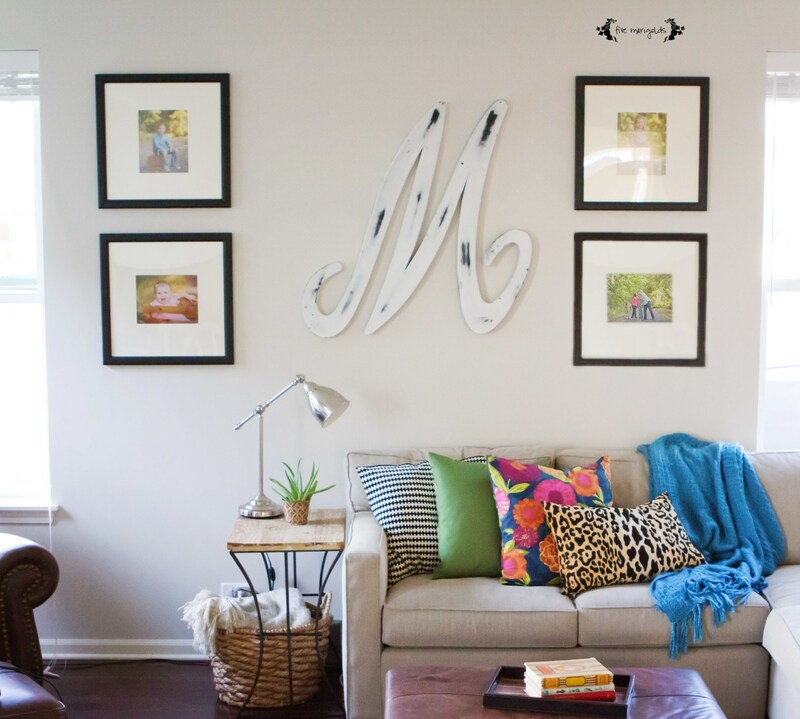 These patterned pillows brighten up a neutral couch, while subtly matching the colorful art on the walls. 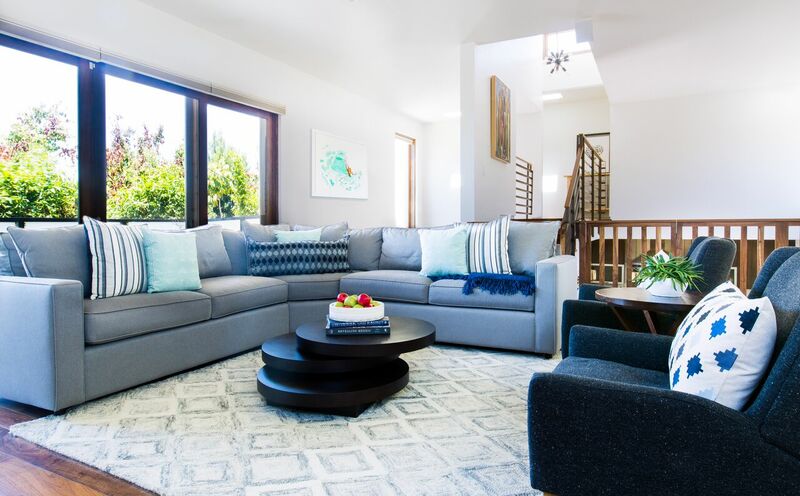 “In this living room a variety of complementary pillows are used through a mix of stripes, solids and geometrics to create an overall eclectic look,” says Tabb. 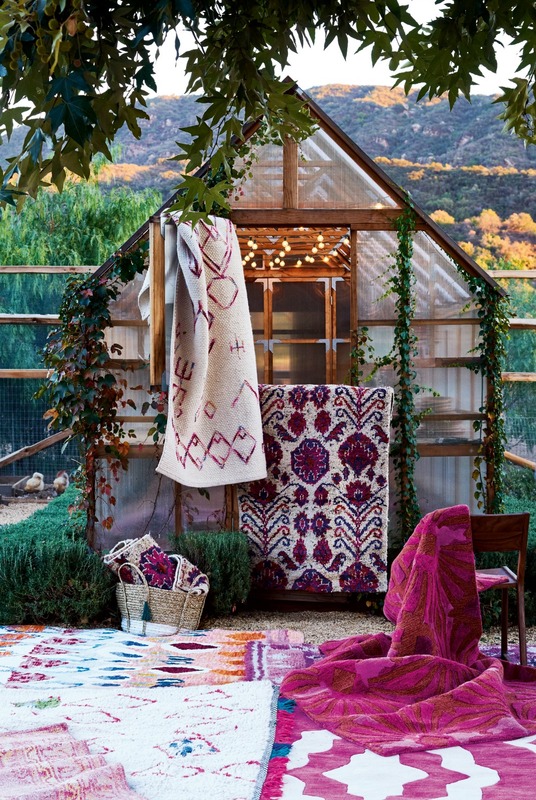 Can’t you just imagine how lovely a few of these patterned rugs would look layered in a neutral living room? 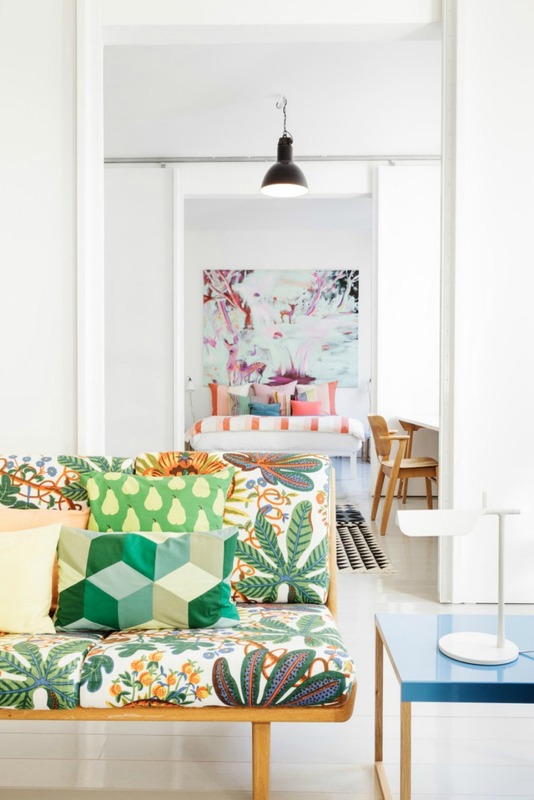 Green patterns in the living room pop against a rosy bedroom in this bright, open-concept apartment. 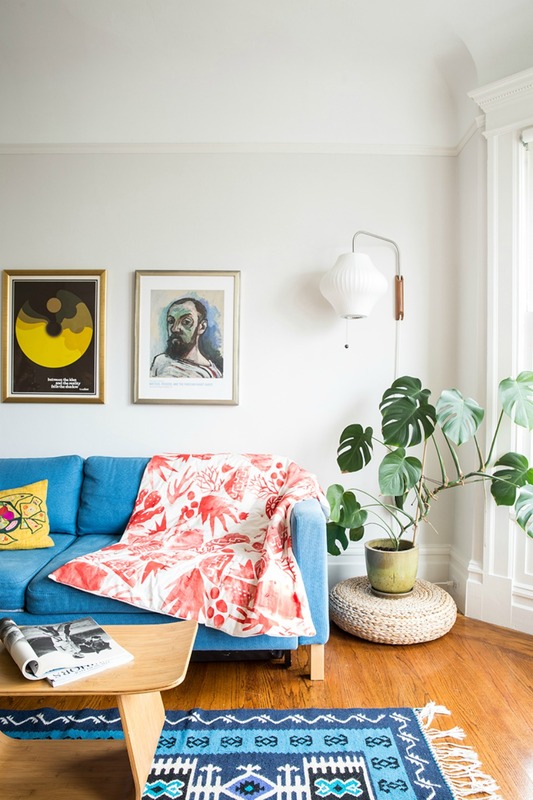 A printed couch makes a perfect pair with this brightly patterned area rug. 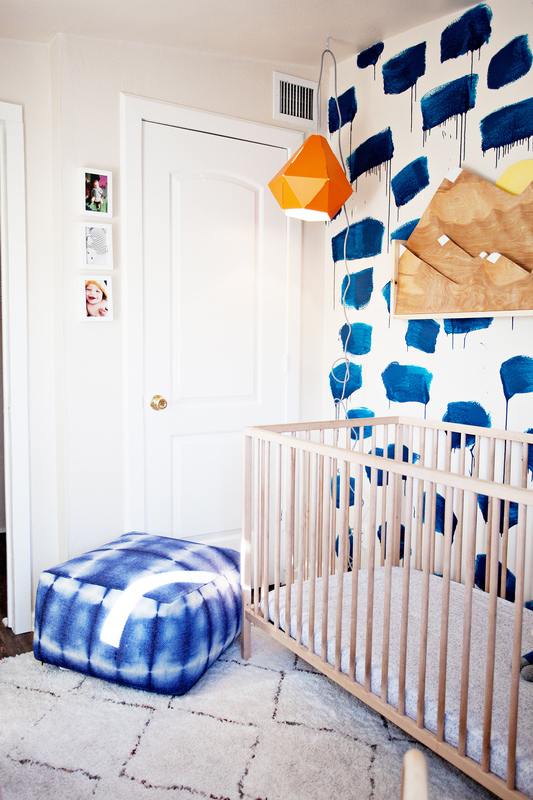 The patterned wallpaper in this nursery acts as a neutral, pairing perfectly with colorful patterned pillows. 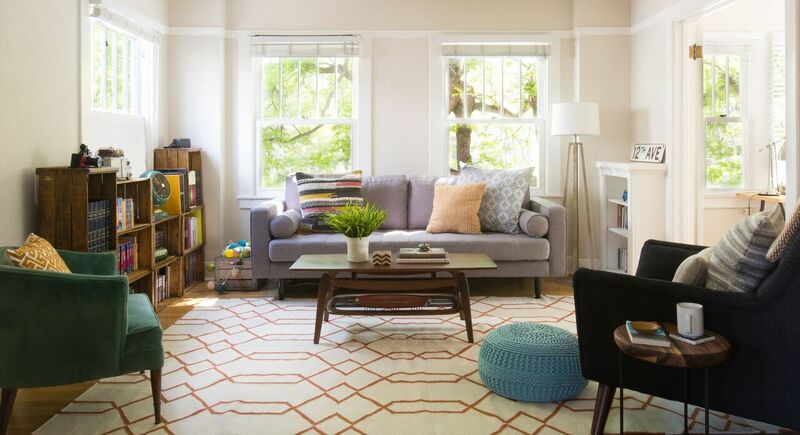 A bright rug and a patterned throw in a contrasting color work surprisingly well in this space. 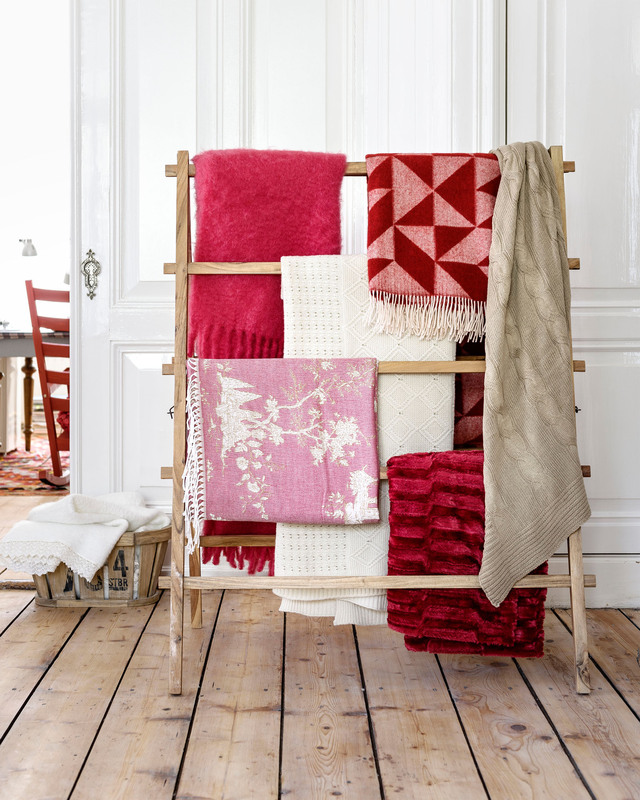 Display colorful, mixed-pattern quilts on a rack to add some cozy vibes to your favorite room. 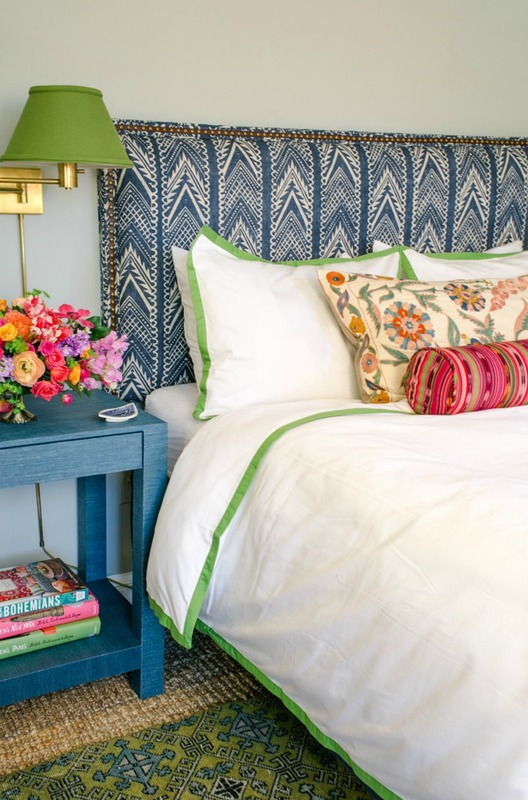 A patterned headboard, white bedspread and accent pillows make for a colorful, serene bedroom. 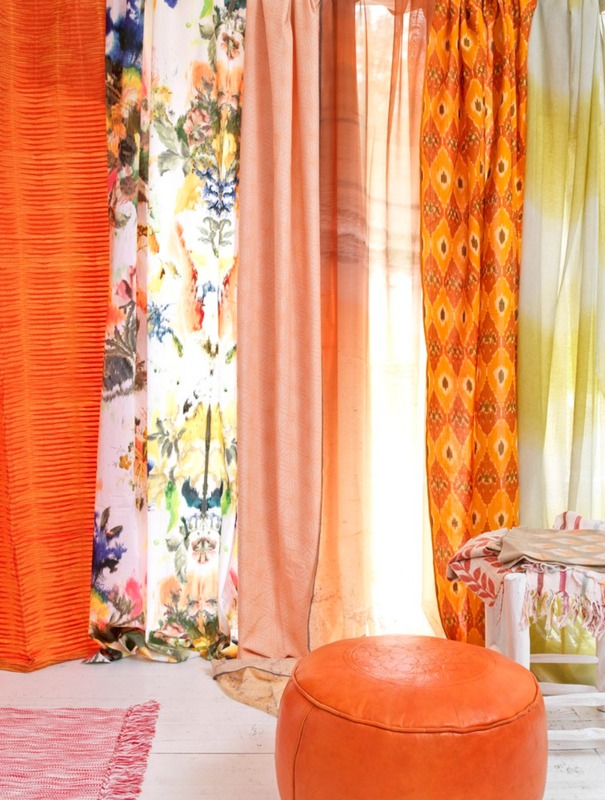 This room balances textured, solid curtain panels with some bolder prints while staying in the same color family. 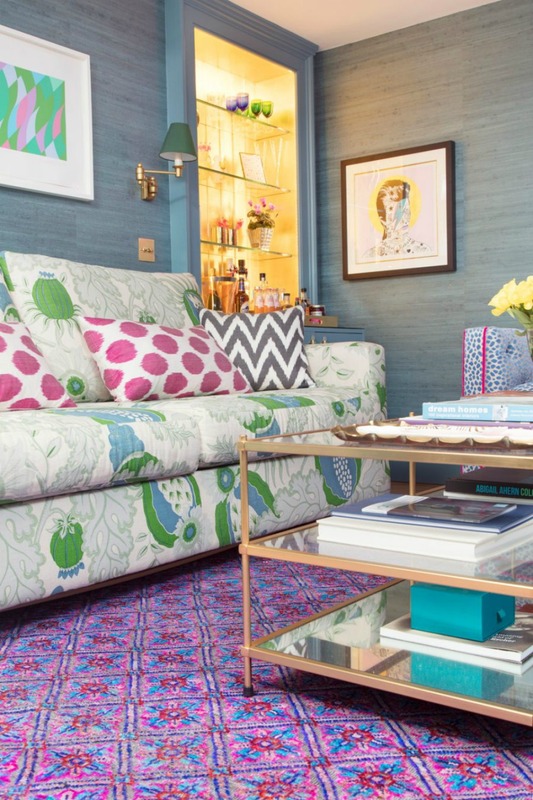 A playful throw pillow ties in a bold-patterned wallpaper with the rest of the decor in this room. Pairing a rich, dark patterned piece like this rug with a brighter accent (leopard print, anyone?) is a win. 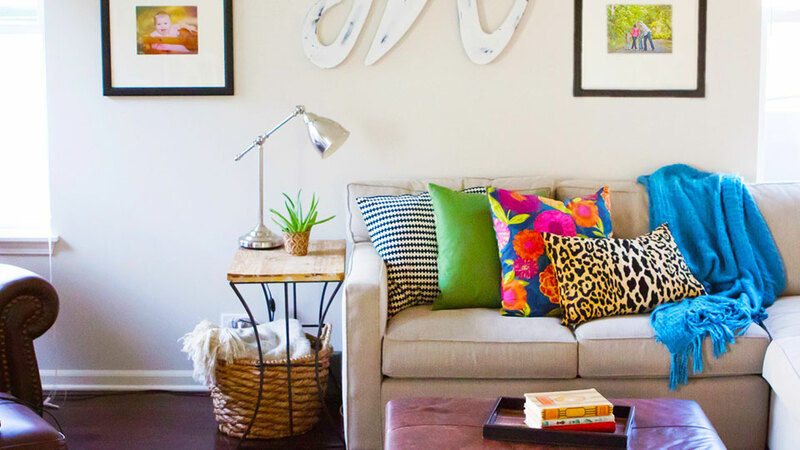 A textured green couch acts like a neutral in this colorful, multi-patterned sitting area. This picture shows how well bold pattern-mixing works in a nursery as long as the colors are kept in check. 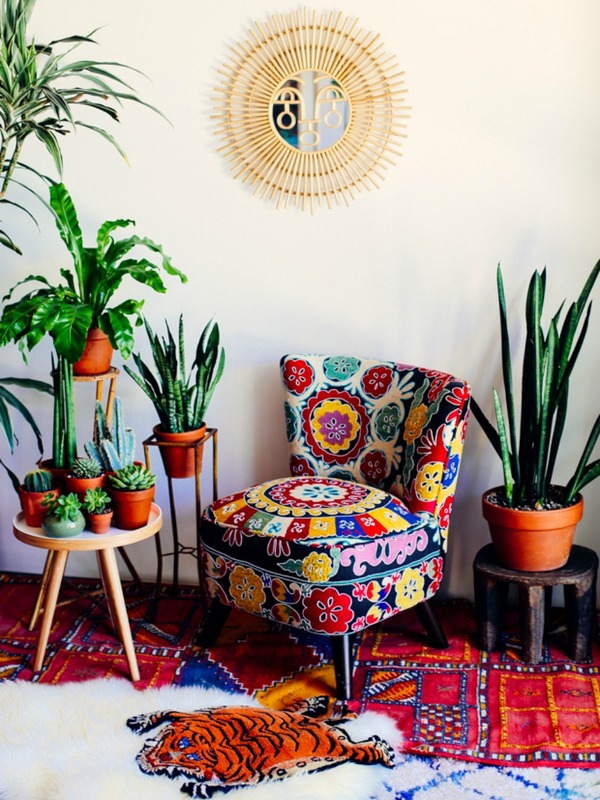 A bold patterned chair both contrasts and complements a bright area rug in this room.